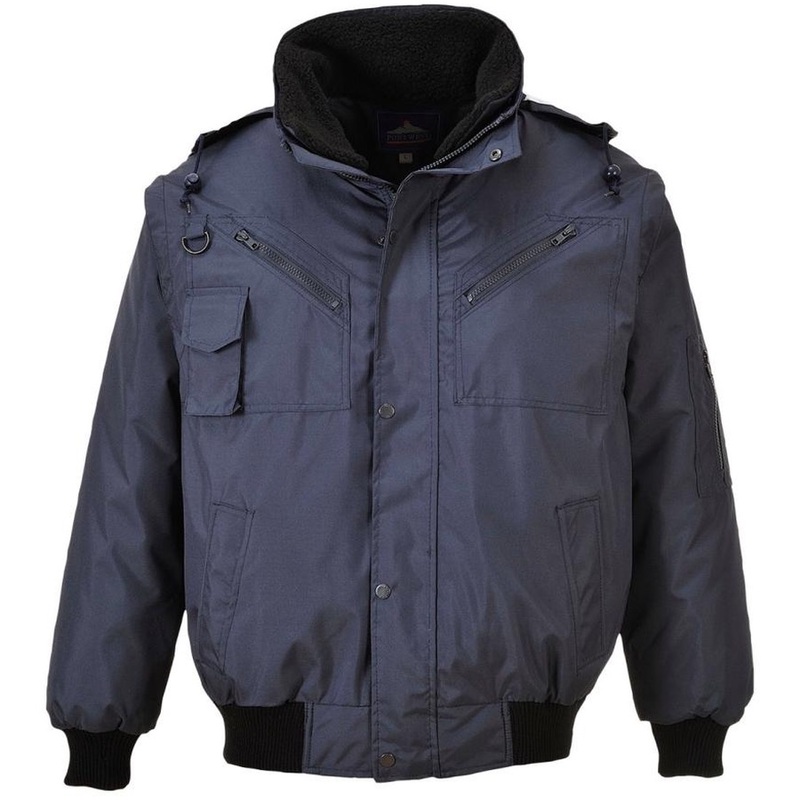 The Portwest F465 3-in-1 Bomber Jacket is versatile and comfortable protection against all weather conditions. 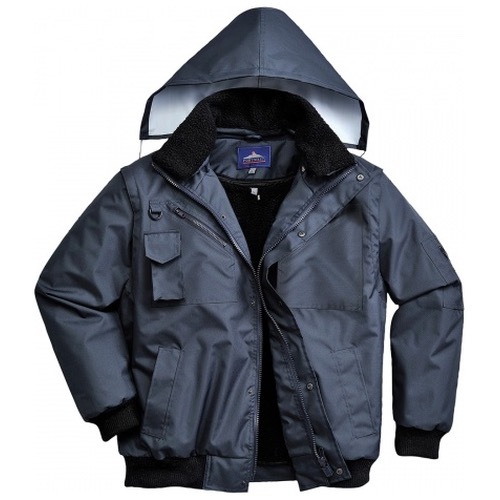 The detachable fur lining and collar, in combination with the zip-out sleeves, prove this is a superbly adaptable garment. 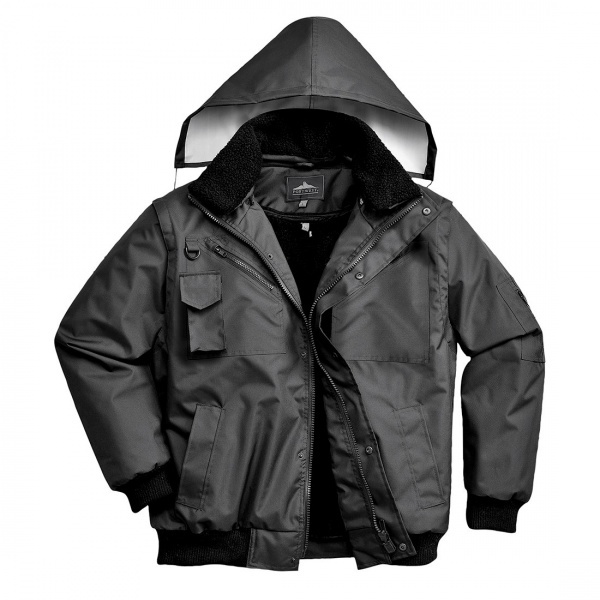 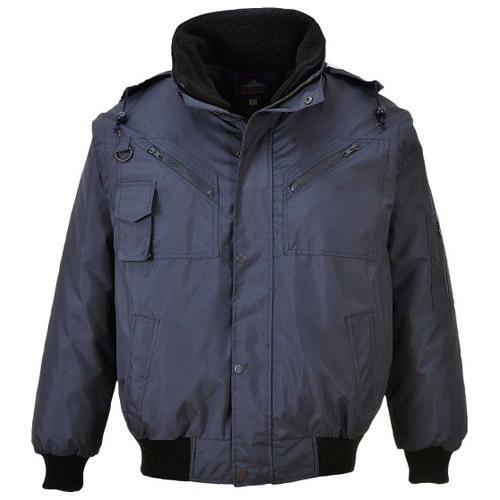 Numerous zipped outer and interior pockets afford excellent personal security.